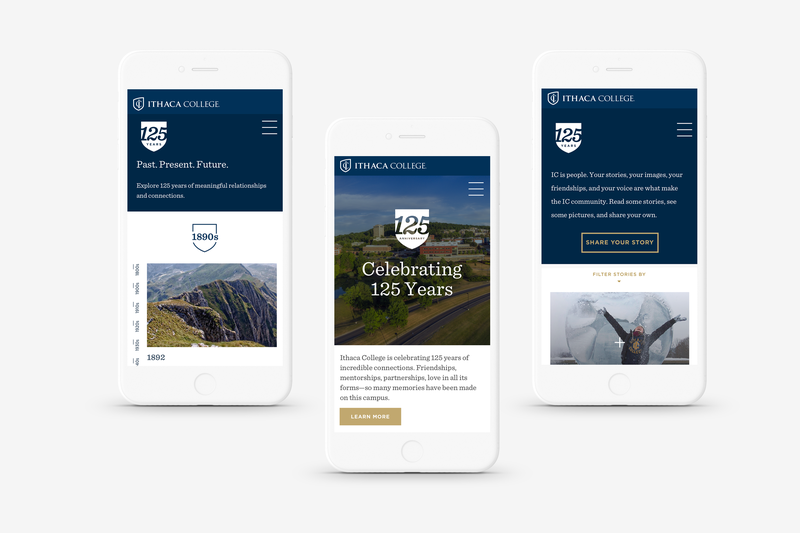 Ithaca College was turning 125 and was in need of an interactive microsite to encourage participation and be the hub for campaign information. The site included interactive campaign elements, contests, social sharing and provided the opportunity for audiences to connect with each other in new ways. Engage and include community members who were unable to participate in campus events. The stories, connections, friendships, and people are what make the Ithaca College community what it is today and it was imperative to allow members to participate and share memories with the community as a whole. We achieved this goal with the Stories section of the site, adding the ability for visitors to the site to post their own personal pictures, videos, and stories for all who visit to see. The stories, images, friendships, and people are what make the Ithaca College community what it is today and it was imperative to allow members to participate and share memories with the community as a whole. 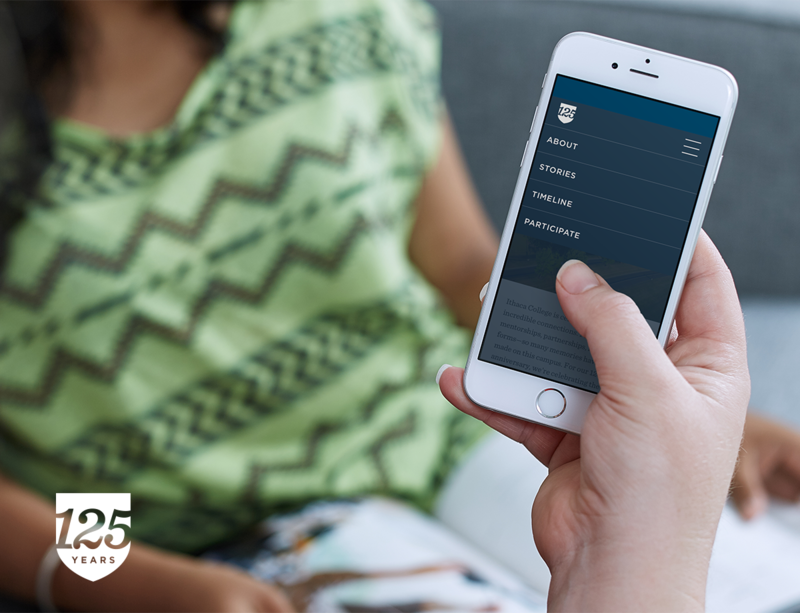 We achieved this goal with the Stories section of the site, adding the ability for visitors to the site to post their own personal pictures, videos, and stories for all who visit to see. Ithaca College has a vibrant and robust history spanning back to 1892. 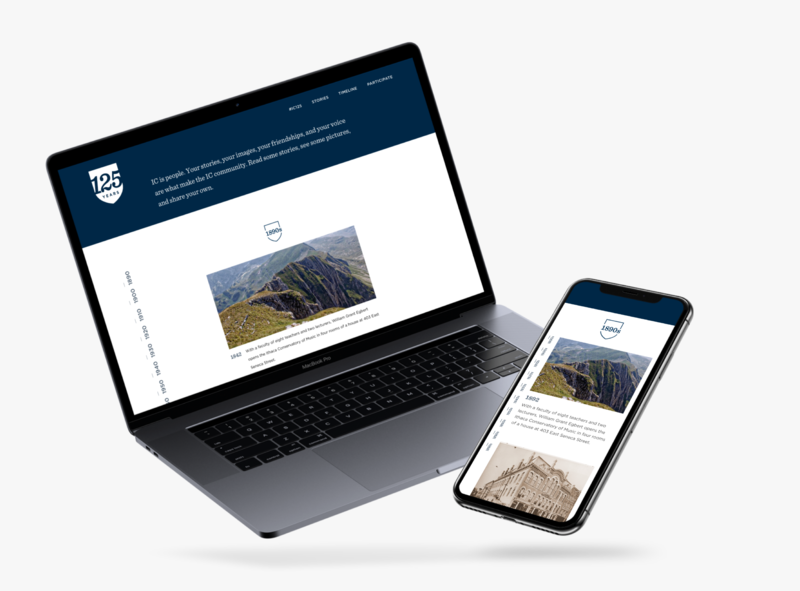 Visitors to the site can experience the interactive timeline to gain in-depth knowledge around the history of meaningful relationships and connections that make Ithaca College what it is today. 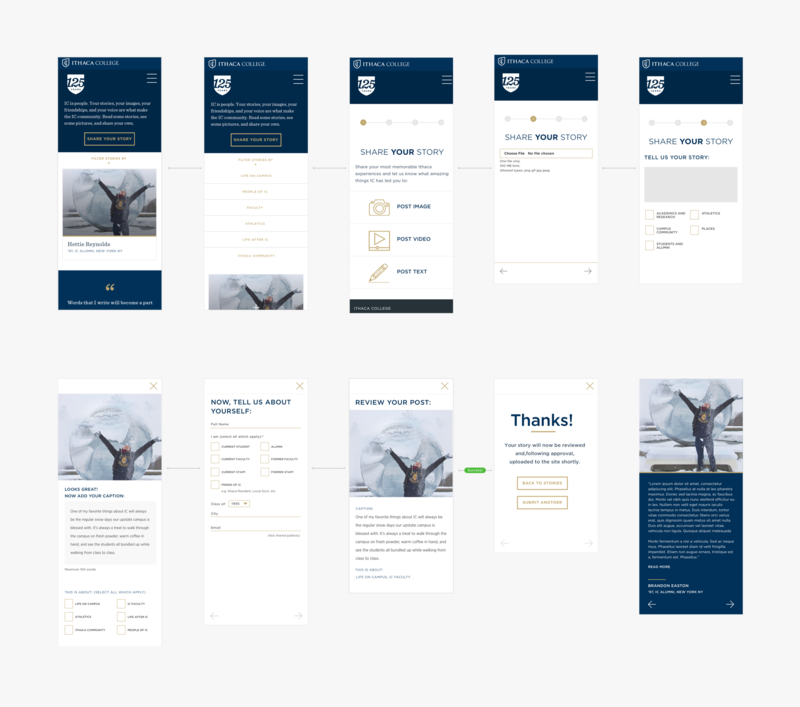 With scroll point triggered animations and smooth transitions, each segment is cohesively connected in time. Brief summaries on various events are captured throughout the experience. This creates a minimal amount of depth that keeps the user interested. 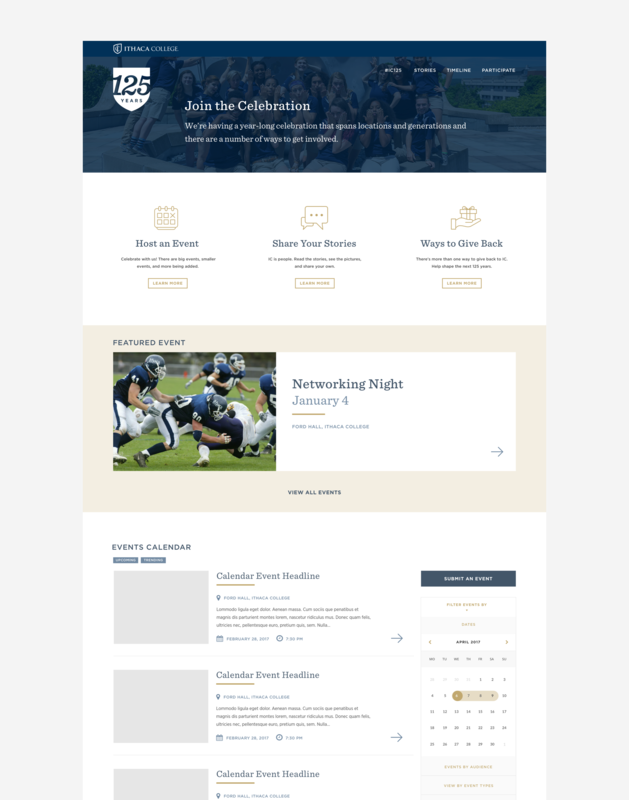 The Participate section is where visitors can stay up-to-date with all the celebratory events scheduled in and around campus to mark this significant moment in the college’s history. This is where visitors can stay up-to-date with all the celebratory events scheduled in and around campus to mark this significant moment in the college’s history.